For this week’s Chrome Web App feature over at Maximum PC, we take a look at LucidChart. 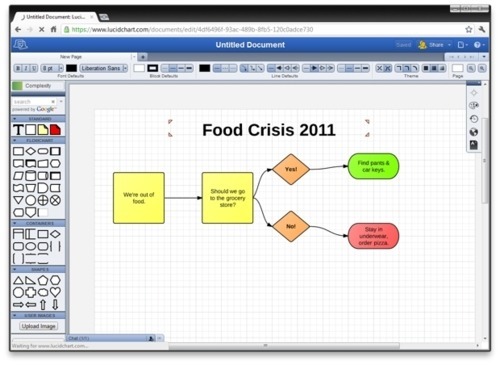 Easy to use and forgiving to those new to diagramming software, I feel the app is worth looking at if for nothing else the fact that the devs have taken an impressive feature set formerly available only to users of pricey software like Visio or OmniGraffle, and made them free to the masses. Sure, you could pay for additional storage and collaborative abilities via a monthly subscription, but for the most part, LucidChart offers up the best of its features for free. Check it out!